At The Flats at 84, you are not just a tenant. You are part of our community — and our family. We love our residents and strive every day to help make our residents feel at home. Because that’s what your apartment and community should be – home. 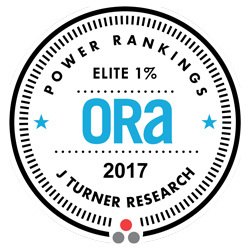 And, thanks to our residents sharing their experiences online about their homes here, J Turner Research named The Flats at 84 in the elite top 1% nationwide for online reputation. J Turner Research is an independent marketing research company that assesses the online reviews and ratings of more than 71,000 apartment communities across the country. Based on this score, The Flats at 84 was ranked in the top 1 percent nationwide for all of 2015 and 2017 for positive online reviews and ratings. We are deeply thankful for our residents and their dedication to sharing their experiences with our community online. Our residents are the reason we love working here, and we will continue to focus on making the resident experience the best in Lincoln. The Flats at 84 is professionally managed by Commercial Investment Properties (CIP). CIP is a family owned, award-winning management company that focuses everyday on living out its mission: To provide those we serve with exceptional experiences. Your apartment should feel like home, and our team members work hard to ensure our residents love living in our communities. We love The Flats! The office team is great and always so courteous and helpful. Great place to live! The staff at The Flats at 84 are the friendliest and most helpful staff that I've had in an apartment complex. They are always ready and willing to help make your life at The Flats an enjoyable one, from maintenance issues handled quickly, to the many resident/community events they hold at the clubhouse. I can't imagine a better place to live in Lincoln. Beautiful residence,private, friendly and affordable. Tours are available in person and by FaceTime!